Smart Development Testing - Clean Software. Guaranteed. It is result of well structured filtration of issues from early stage. Be purposeful as to what issues you want to uncover. Then figure how you can do this efficiently. Lean is about producing less waste. Prevent smartly. Test minimally. Automate what you have to test maximally. effectively and most importantly without disrupting the rhythm of coding. We all intuitively know that good quality at an early stage goes a long way in delivering great code rapidly and optimally. After all, who would not want a solid foundation for a complex product. Testing building blocks should be easy and quick, in reality this is probably not all well done as it should be. A smart lightweight approach that does not create more work for developers or upset the development rhythm is what is paramount to success. And this is precisely what SmartDevTest strives to accomplish. A compromised ‘unit test’ puts unnecessary strain on QA folks who seem to be compelled to go after these issues at the expense of system test resulting in not-so stunning quality of delivered software. Developers do not deliberately write bad code, it is just that accidents happen. Accidents happen due to very many reasons: push of impractical unit testing, automation without good dev test cases, emphasis on dynamic testing when static methods could be as effective. Finally the mother of all reasons, of not being sharp and purposeful as to what type of defects need to be the focus of “unit testing” or sensitisation for prevention. 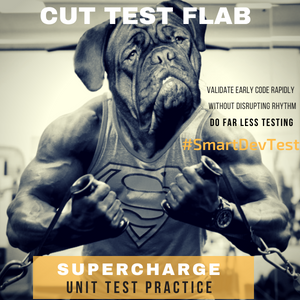 SmartDevTest is a service offering that supercharges your ‘unit test’ practice enabling developers to validate their code rapidly, effectively and most importantly without disrupting the rhythm of coding. SmartDevTest is based on lean philosophy that focuses on being sensitive to prevent issues, being goal focused as to the type of issues to uncover, staying sharp to detect early, using light aids to do easily, and resorting to automation only for value-adding complex repeatable tests. It is a harmonious blend of scientific thinking, smart aids, rapid process, sensible automation, static assessment and dynamic testing to test less and accomplish more. 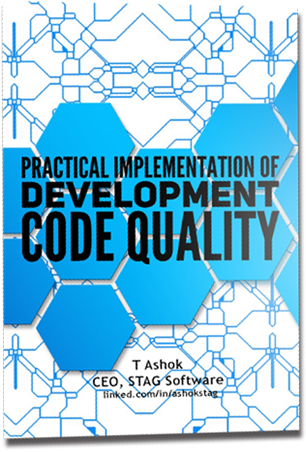 The outcomes to be expected are heightened awareness to ‘defects’ by developers, a consistent effective DevTest practice, drop in leakage of dev-defects to QA and better early stage quality code. Sensitisation to the types of defects is what enables a good defensive coding mentality and test driven approach. Focus on behavior model, enables a BDD style approach to design and automation. Value based approach enables a sensible mix of static and dynamic (automated) tests. The significant outcome is freeing up the QA/testers to focus on what they do best, of testing the system from an entire product/app and user-usage view. The service offering consists of experiential workshop and online learning capsules to enable you to reorient your DevTest so that you “Test less, accomplish more”. It also includes SmartDevCheck, a smart checklist to help you perform static evaluation, sensitise you to prevent rather than only test and make you think. A super light personal process to foster rapid testing and a guideline based on TestPyramid to help you automate what is value adding especially at top of the pyramid. Learn how to “Test less, Accomplish more"
This is a result oriented SIX to EIGHT weeks program, consisting of assessment, orientation and then implementation/support. Week#1: Assess state of practice of dev test via discussions with team members, analyse defects/test cases, create assessment report, the initial baseline. Week#2: 1-day instructor led experiential workshop that outlines key concepts, with two How-to-do sessions, followed with an online course to be taken by participants. Week 3-6(8): Developers implement this with STAG tracking, assisting, fine-tuning. The final outcomes are compared against the original assessment report. 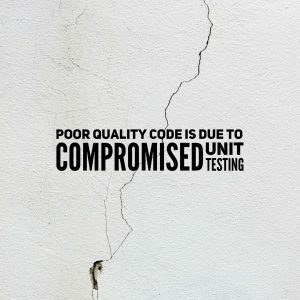 A compromised ‘unit test’ puts unnecessary strain on the QA folks who seem to be compelled to go after these issues at the expense of system test. Rather than just “unit test”, setting up a clear objective as to the type of issues that should be caught at DevTest makes this early stage test effective. Lean is about not producing waste in the first place. How can we prevent to and lessen the need for large number of unit tests to uncover these? Smart checklists are not about mindless compliance, not about ticking boxes, it is really about tickling the brain to think better and ensure fault-proofing rapidly. What do QA folks think? believe half the issues found do not require specialised QA expertise. believe smart 'manual' testing can optimise automated scripts. When the act of DevTest is well aligned with Dev, and not just seen as a task to be completed, clean code can happen joyfully. The free eBook outlines what it takes to enable great quality code at easily stage of development by outlining a fresh way of looking at the staid unit testing that is typically practiced.